alongCapeCod: It's Beginning to Look a Lot Like Christmas on Cape and Islands! A Seaside Christmas in Orleans: Events kick off on November 29 and run through December 31. Popular events include the annual Pancake Breakfast with Mrs. Claus at the Orleans Yacht Club, Santa's arrival at the cove, the annual candlelight stroll to and tree lighting at Village Green, and Lighting of the Windmill in East Orleans, the Santa Stampede 5k and Family Fun Run! Thanks to the Orleans Improvement Association's Holiday Decorating Contest, the local businesses are especially festive and lit up this year! Don't forget to check out Snow's extensive model train displays - sure to fascinate both young and old. The Events in Orleans continue all holiday season long with chowder festivals, arts & crafts, entertainment, performances, music and holiday gathering. Falmouth offers more fun with Falmouth's Holidays by the Sea Weekend! On Friday evening, make a joyful noise at the Holiday Carol Sing at Nobska Lighthouse. On Saturday, get up early for the 3rd Annual Jingle Jog 5K Run & Elf Run, then head over to the dock at Falmouth Harbor for the arrival of Santa by Sea as he sails into the harbor. Don't miss the lighting of the village green! Known as Southeastern Massachusetts’ largest holiday parade, the 51st Annual Falmouth Christmas Parade steps off at noon on Sunday. The parade features many walking groups, theme decorated floats, marching bands, live animals, costumed characters and of course Santa Claus. Also, Falmouth Historical Society's offers Holiday Events at the Museums on the Green including a Christmas Traditions Tour. The most popular Christmas Stroll event is the Nantucket Noel Christmas Stroll. Now, in it's 41st year, the stroll runs December 5 through December 7. The Nantucket Noel fun starts on Friday with the Friends of Nantucket Public Schools 32th Annual Christmas Stroll House Tour. Santa and Mrs. Claus arrive on Saturday via a Coast Guard vessel, where they then join in a festive parade up Main Street. Carolers, bell ringers and student choirs as well as other performers entertain all who are wandering Main Street. Make sure to hop aboard the Nantucket Sleigh Ride, boarding in front of the Whaling Museum on Saturday. Back this year is a European-style "Christmas Market" with 15 non-profits offering foods and gifts. Don't miss the Annual Festival of Trees running throughout December at the Whaling Museum. Christmas in Edgartown is a Vineyard tradition. This year's events run Friday December 12 through Sunday December 14. Watch the annual parade, and then look for unique gifts at the annual Arts and Crafts Fair at the Edgartown School. Grab some food at the 28th annual Chowder Contest on Saturday. Don't miss the MVRHS Minnesingers Annual Holiday Concerts held at The Old Whaling Church on Friday and Saturday. 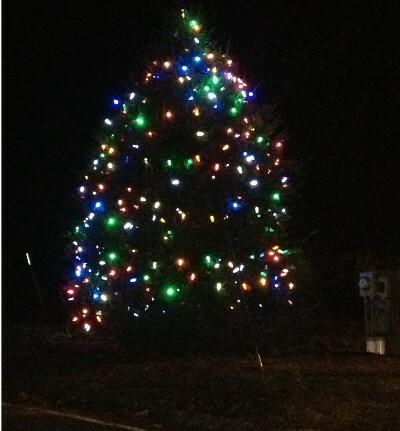 Lighting of the Christmas Tree on the Village Green, complete with Christmas Carolers, takes place on Saturday at 4:30. Too much fun to mention here, so visit edgartownboardoftrade.com for a complete listing of events. Harwich offers Christmas in Harwich events starting on Friday Dec 5, with the Harwich Port Stroll at 5:30 pm. Tree Lighting, Santa's arrival on a fire truck, horse-drawn carriage rides, all make for a magical New England evening. On Saturday a pancake breakfast, bazaars, sing-a-longs, exhibits and open houses fill the day along with the Polar Express Trolley Tour and HarwichPort and East Harwich strolls in the afternoon. Sunday offerings include a Service of Lessons & Carols at Christ Church Episcopal; a Free Christmas Concert with Crabgrass Bluegrass Band at the Brooks Free Library and a "Classical and Contemporary Christmas Music and Carol Sing-A-Long" at the First Congregational Church - all are welcome! Several local groups are performing music, dance, and theater! Favorites include... Cape Cod Symphony Orchestra's Annual "Holiday Pops Spectacular" - note: order tickets early as this show will sell out! Coastal Dance Company is dancing Coppelia; Cotuit Center for the Arts presents, The Musical Annie - show runs 3 weekends. Local actors and actresses take the stage at Harwich Junior Theatre for a 4 week run of Harry Connick Jr.’s The Happy Elf. Celebrate the majesty of the winter season on Friday, December 5 with Cape Cod Community College's "Music for a Winter's Eve" - concert includes a mix of jazz and seasonal favorites by the 4C's Jazz Combo and the Select Chorus, also this year's show features Egyptian Dance performed by the Middle Eastern Dance Class - A donation of non-perishable items o help support local food banks is your ticket to the concert. It's just not Christmas without the battle of the Nutcracker - several local dance schools are performing variations of the traditional ballet. The West Parish Music Board presents "Cantata for Christmas: A NIGHT FOR REJOICING", featuring Choir & Hand-bells and more. Check out Cape Cod Music for additional concerts! And it's NOT all over by a long shot... See our post on Chatham for all the events there including First Night. Barnstable is filled with activities including the annual Hyannis Main Street and Waterfront Christmas Stroll. More events Cape Cod wide - include the amazing 5rd Annual Glassblowers' Christmas Dolls of Yesteryear - Antique Dolls and Glass Toys in Sandwich, Gardens Aglow Celebration of Lights at Heritage Museum and Gardens, and Mashpee's 12 Days of Christmas. The Cape Cod Enchanted Village features a magnificent display of more than 100,000 lights and entertainment at the Cape Codder Resort and Spa. Check out AllCapeCod's December calendar for these and more holiday events.